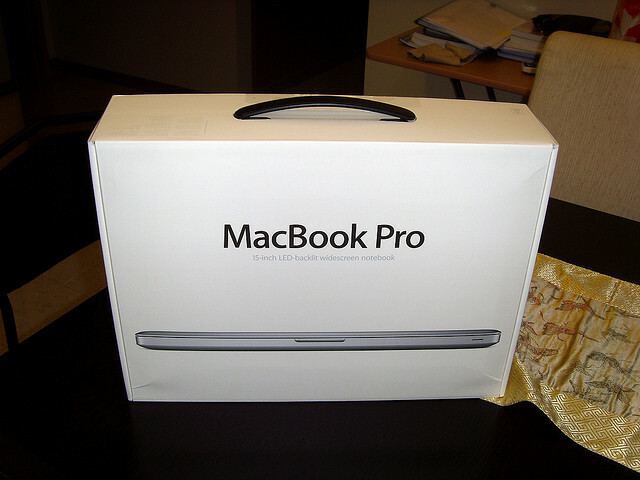 With reports suggesting that updates were imminent, Apple has confirmed suggestions that it would boost its MacBook Pro models, updating its store this morning to debut new notebooks with more powerful processors, upgraded graphics cards and hard drive storage. Both 13-inch models have been given subtle processor improvements – seeing Apple introduce the new Intel Sandy Bridge chipsets – now shipping with 2.4GHz dual-core i5 and 2.8GHz dual-core i7 chips from the old 2.3GHz and 2.7GHz variants. Both 15-inch models have seen bumps from 2.0GHz to 2.2GHz Intel quad-core i7 processors. The entry level 13-inch model has 500GB of hard drive storage, whilst the 17-inch model has been upgraded to sport AMD’s Radeon HD 6750M or HD 6770M graphics card, the latter incorporating 1GB of video memory. Apple has kept the memory and pricing the same, ushering in a incremental upgrade to keep its models current. Both 15-inch and the 17-inch MacBook Pro’s can be ordered with a 2.5GHz quad-core Core i7, with Apple also offering upgrades to 512GB SSD storage. 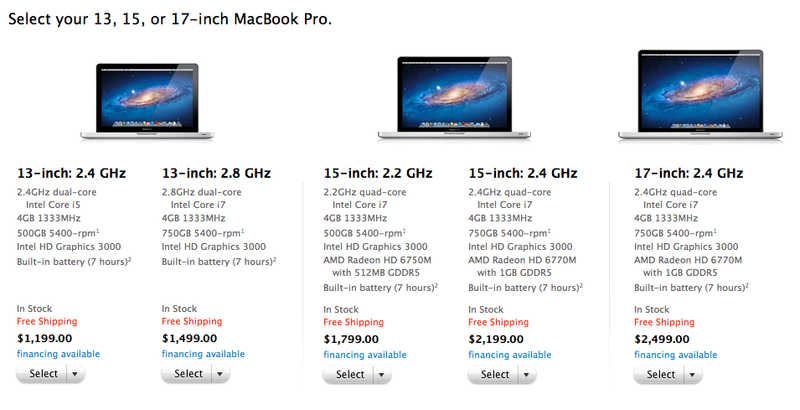 To view the new models, check out the MacBook Pro page on the Apple Store.